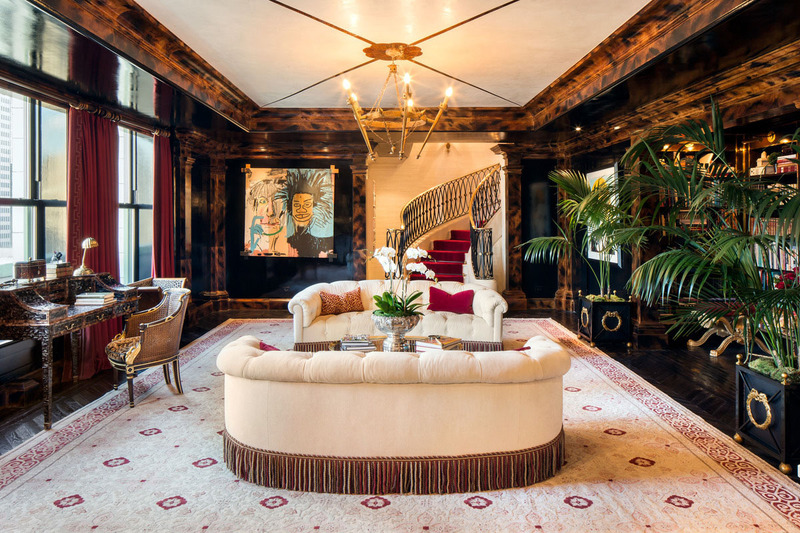 Located on the 18th and 19th floors at the legendary Plaza in New York City, this iconic Dome Penthouse was completely renovated by fashion designer Tommy Hilfiger to restore it to its original grandeur. 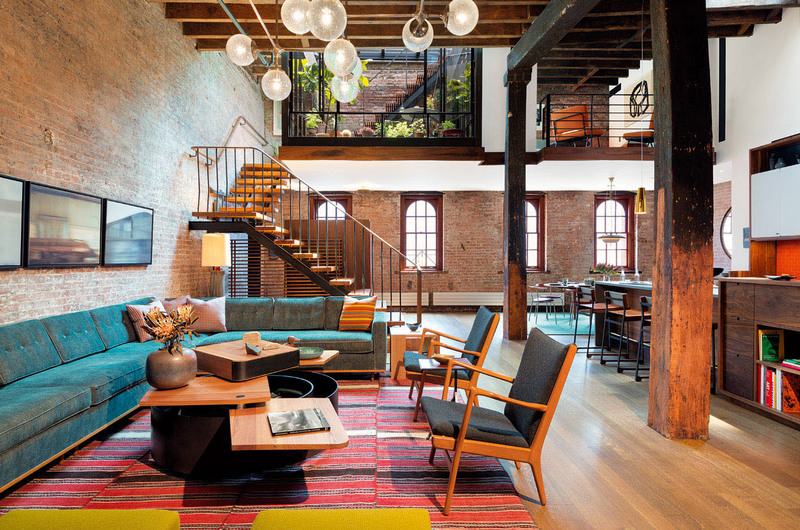 Architect Andrew Franz modernized a former warehouse in Manhattan, New York built in 1884 and turned it into a chic top floor loft apartment with mid-century style interior decor. A mezzanine interior courtyard with a retractable glass roof connects to the roof garden with views of the Hudson River and lower Manhattan. 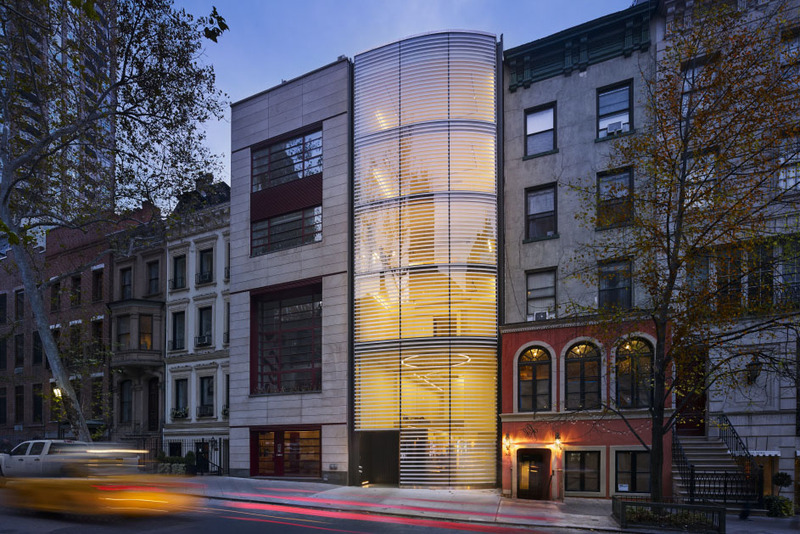 Greenwich Street Penthouse by Turett Collaborative Architects is an elegant penthouse loft which offers a mix of modern New York and its historic past. 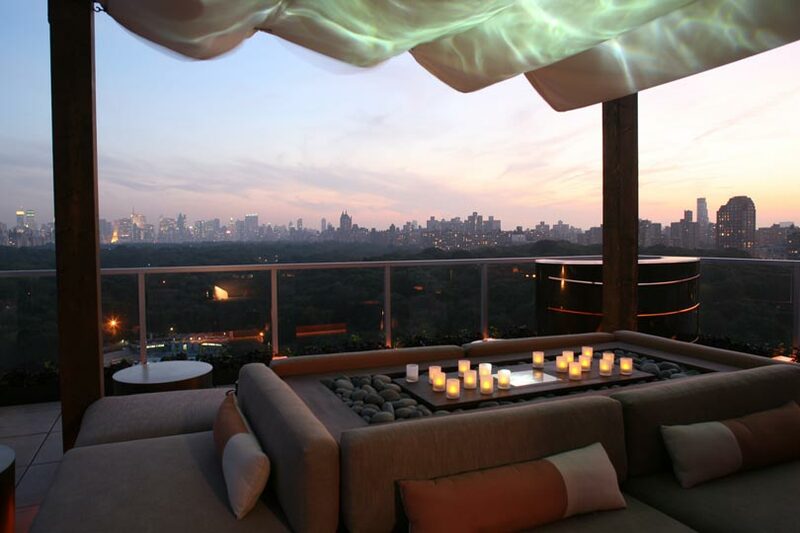 This roof terrace with stupendous views of the entire New York metropolis has a large cushioned pavilion as its centrepiece. 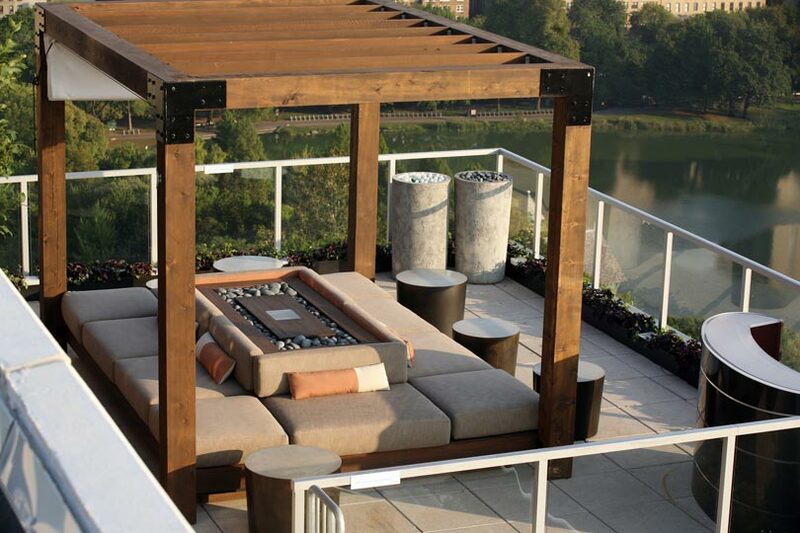 Designed by Clodagh Design, the terrace includes the Feng Shui elements – fire, water, air, earth, wood and metal. 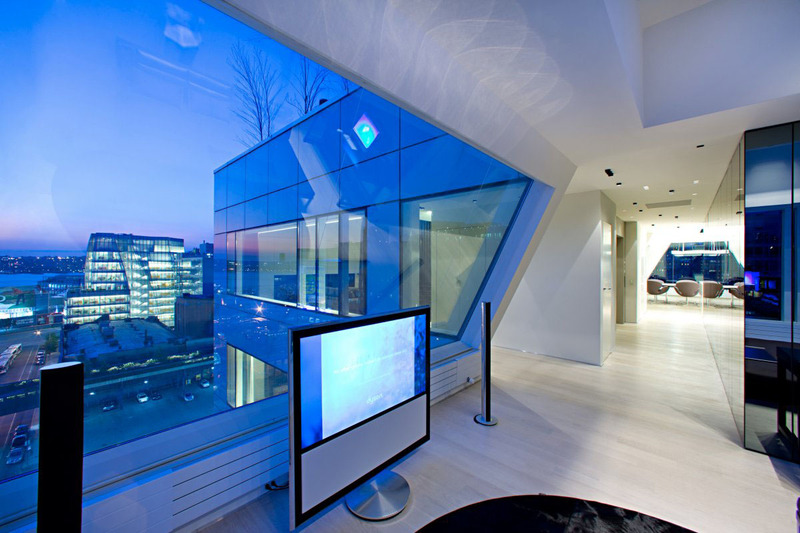 The flickering LED candles create the perfect atmosphere for watching sunset.